In 2019 we have lots exciting projects, a chance to see the beautiful coast of North Wales and historic chester, and wonderful knitterly opportunities coming. In this newsletter, we’ll be highlighting some of what Knit for Peace will be up to throughout the year and into 2020! From all of us at Knit for Peace, we hope you have a wonderful 2019. The Great Wool Hunt is fast approaching. With lots of exciting activities; from a knitting workshop with Sasha Kagan, to a visit to a yarn warehouse for bargains, we’d advise booking now to avoid disappointment! 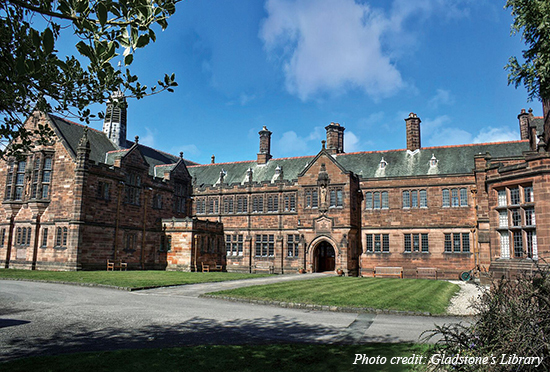 Accommodation: Bedroom with en-suite bathroom at Gladstone’s Library for 3 nights with breakfast and dinner included. Led by Debbie Bliss and Gillian Ely, who will be working in parallel, you will have a choice of tutorial each day. 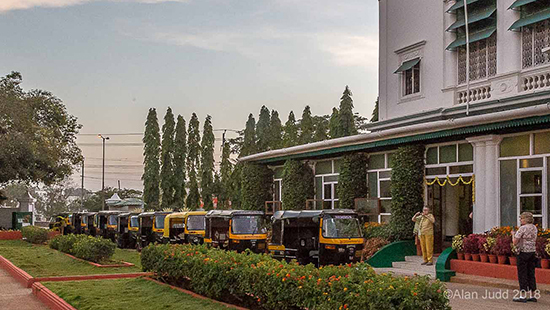 Accommodation: The Green Hotel. A wide choice of rooms in the palace, situated beside the award-winning garden. “Wonderful opportunity to buy unusual yarn and bargain end of ranges”Wool Hunt 2018“What can I say -a wonderful 2 weeks, fantastic staff, wonderful food. It’s not too late to do it for a fortnight! Join Knit for Peace founder Dame Hilary Blume and get yourself sponsored for avoiding those sugary treats and raise money for Knit for Peace. Good for you and good for those in need. Ask for matching funds for your money saved! Get sponsorship for every-time you don’t eat a sugary treat when offered. To find out more about it and to get a sponsorship form, click here. For our January raffle, we have two wonderful new selections of knitterly delights. You told us you like Double Knitting, so we’ve listened and put together the Delightful Double Knitting raffle. We’ve also created a bumper selection of yarns suitable for baby and toddler projects called Beautiful Baby Yarns. Entry to our raffle is £5 a go and you can enter as many times as you like. All proceeds go toward supporting Knit for Peace. Thank you to all of the kind knitters that have sent in their knitting. With the cold weather lingering, we’re in need of adult jumpers/cardigans, hats, scarves, warm blankets, dressing gowns, ponchos, fingerless gloves and mittens. In November we launched a campaign so we can continue to help those in the most wretched circumstances. To donate see here. “Thank you very much indeed for the generous donation of wool, needles, knitting kit bags, blankets and toys we received. The knitting workshop attracted a markedly higher take up. Experienced knitters and newcomers alike fell on the supplies of beautiful yarns, selected their own needles, and began to help one another decide what to create. I wish you could have seen the genuine surprise and delight in the faces of the women we work with, some of whom I hadn’t seen smile so readily before. They seemed especially cheered that they could choose from a really wonderful selection of materials. “I really cannot thank you and all the people who knit for you enough. The bags of clothes were delivered and our residents and their children were over the moon to receive all the lovely items. They said that Christmas had come early. All the babies and children in the refuge got new clothes and we even have some left to give to new families as they arrive. 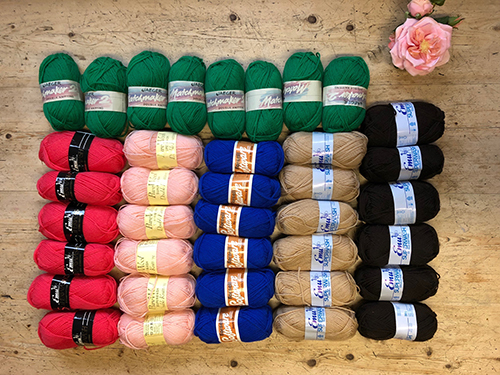 Please help us raise £25,000 so we can continue to supply yarn, needles, and haberdashery to abused women so they can knit throughout 2019.